I’ve long been a big fan of Wool of the Andes worsted weight yarn! It’s a fantastic basic wool, and you can now grab a 10-pack for a limited time only, either in one of our curated multi-color choices, or in all the same color, perfect for a sweater! 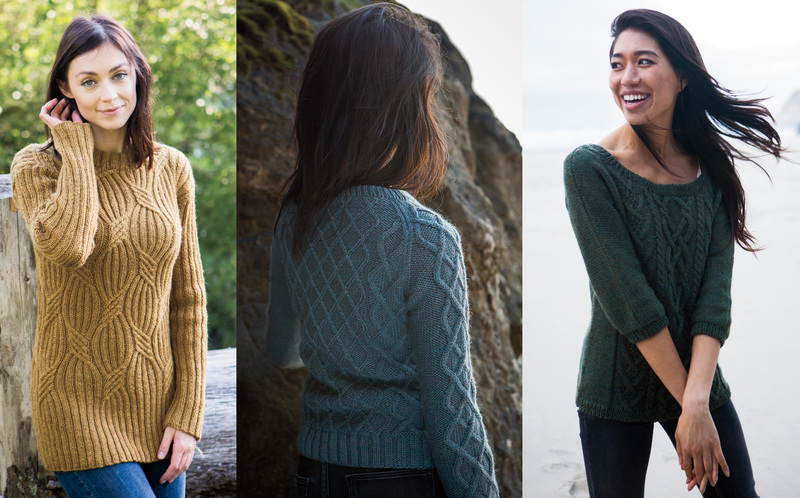 I’ve only been working at Knit Picks for a few months, but I was designing knits for many years before I started here, and I’ve used this fantastic basic wool with its enormous variety of color options in multiple design projects over the years. 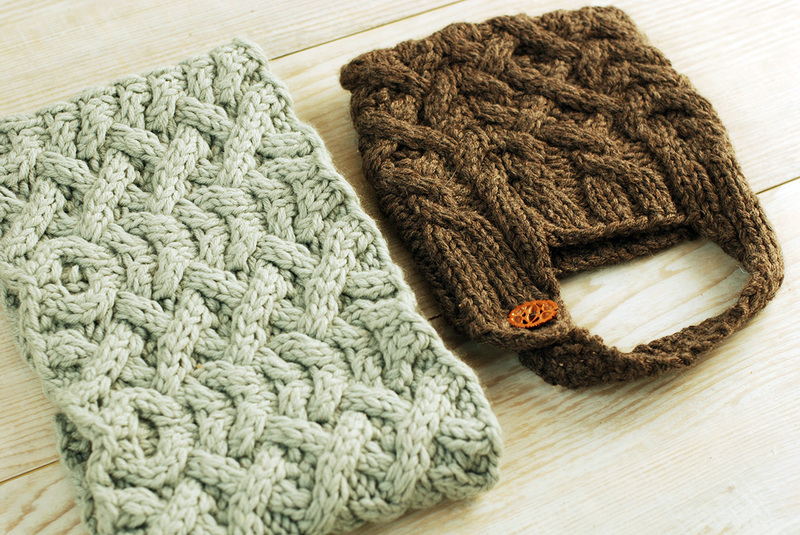 The other major design project I used Wool of the Andes Worsted in was my third Adventure Knitting collection. These collections are like Choose Your Own Adventure books for knitters, and they have TONS of options; for my third book I wanted to color-code all the stitch patterns, so I went with Wool of the Andes since I knew I’d be able to get all the precise colors I needed! There were five different categories, each with a color code, one of them using 2-color stitch patterns, and each category was named after a habitat based on the “adventure” story, which meant I needed several distinct shades of blue. 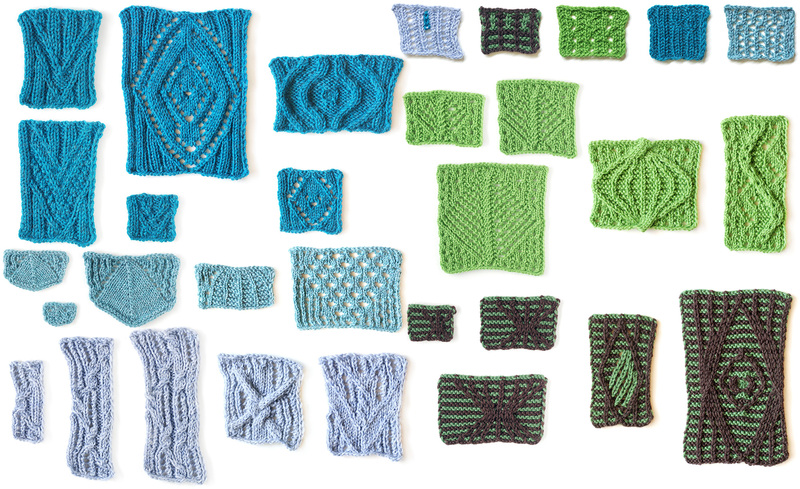 The categories were Arctic, Forest, Grassland, Lake, and Ocean, and each category had five different stitch pattern options to choose from, so I knit swatches of each pattern in the color-coded yarns to match the font colors in the book. 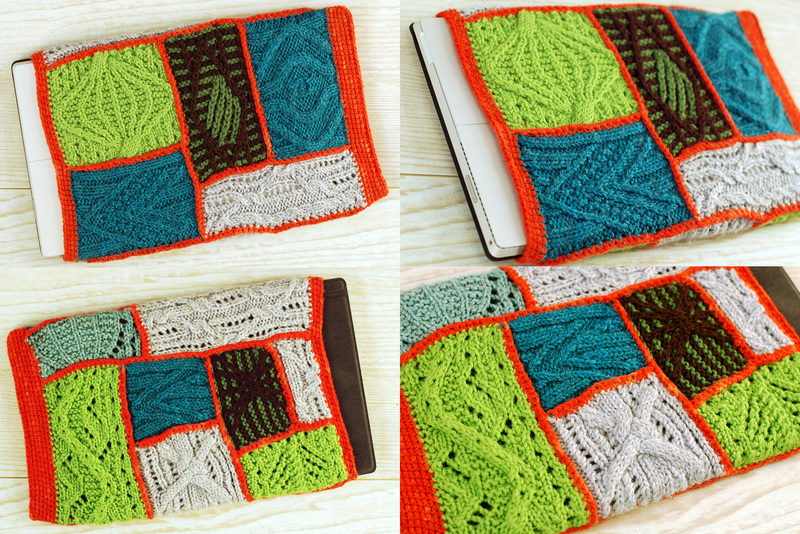 And then after it was all over, I had all these pretty swatches just sitting there, so I crocheted a bunch of them together into a patchwork laptop sleeve! 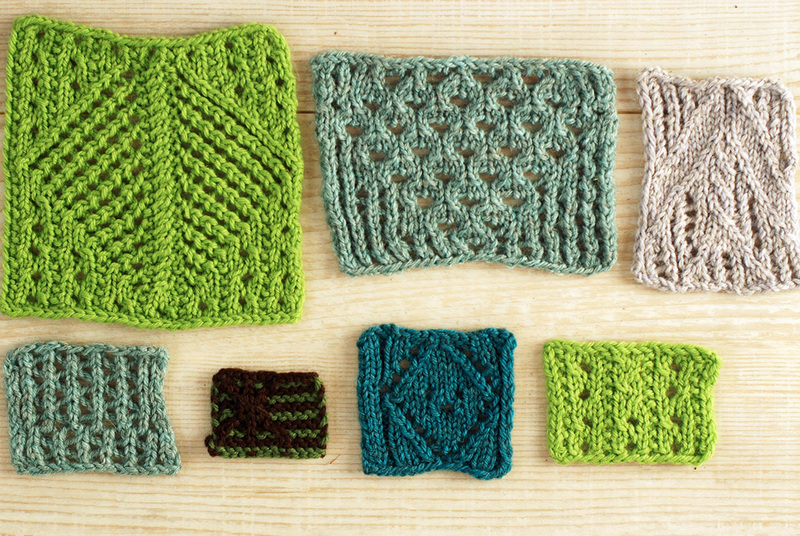 Even though the swatches were all varying sizes, the wool yarn is so great at blocking out, it totally smoothed out perfectly after it was all stitched together and washed. I love it so much! So yeah, basically Wool of the Andes is great for all the things! Grab yourself a value pack in a single color to make a garment of your own, or a multi-color pack (rainbow is my fave!) if you want to make lots of accessories and other small things like I tend to do! The post Wool of the Andes Worsted Love (& 10-Packs Limited Release)! 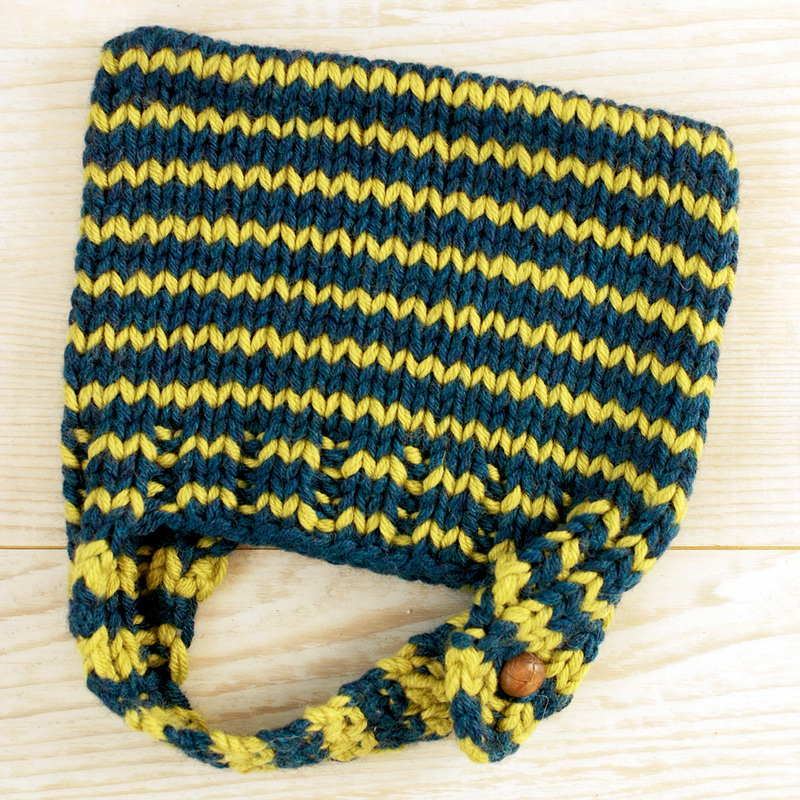 appeared first on KnitPicks Staff Knitting Blog.